Crazy that two WCC teams are in the top three. Has this ever happened in any other sport? Women's soccer seems like the only other possibility. That is pretty impressive. Not a bad jump after the solid weekend showing. Do you guys know if they will be doing a "race watch" for the NCAA championships at Chiles like they did in 2014? I think I'll be in PDX that weekend. The threshold for UPXC rankings has always seemed to be 4th in the past. Nice to finally break on through. The 1993 and 1996 Pilot teams were ranked very high at one point or another during the season. I don't think the USTFCCCA records go back that far. Both teams were pretty damn good. Woodless 2.0 wrote: Do you guys know if they will be doing a "race watch" for the NCAA championships at Chiles like they did in 2014? I think I'll be in PDX that weekend. I would imagine the athletic department will probably organize something. And if they don't have plans, I'm sure if we asked them they would do it. This is awesome news! Does anyone know how this team stacks up to the third place finish squad from a few years ago? SouthCarolinaPilot wrote: This is awesome news! Does anyone know how this team stacks up to the third place finish squad from a few years ago? The 2014 team was ranked 6th at the end of September and 5th by this time in the season after the Wisconsin meet. Here’s hoping the team does well Friday at Regionals. My brother ran against Jeff Thies in high school. He said Jeff was gutty and a cool guy. Go Pilots! In the meantime... Pilots XC just signed a quite a recruit: Justin Hazell, who has the 3rd-fastest 3200 time in the country among his class! "Mile for mile, Justin might be the top prospect in the nation," said head coach Rob Conner. "His upside is through the roof. What we love about Justin is that in addition to his athletic ability he is a humble and modest young man who wants to contribute to our team goal of winning a national championship." Something tells me Coach Conner won’t retire until he has climbed the mountain. I love that attitude. We are so lucky to have him. I am definitely excited to see where this team finishes at Regionals and Nationals. We seem to be trending ever upward. Haven't seen anything yet, but I understand our Pilots Men X-C team is the West Region Champion after the meet in Seattle today. They placed five runners in the Top-30, including Roudolff-Levisse finishing first and Thies finishing second. Thies, Hauger, and Roudolff-Levisse win all All-Region honors. USF won the women's title by edging out Stanford. 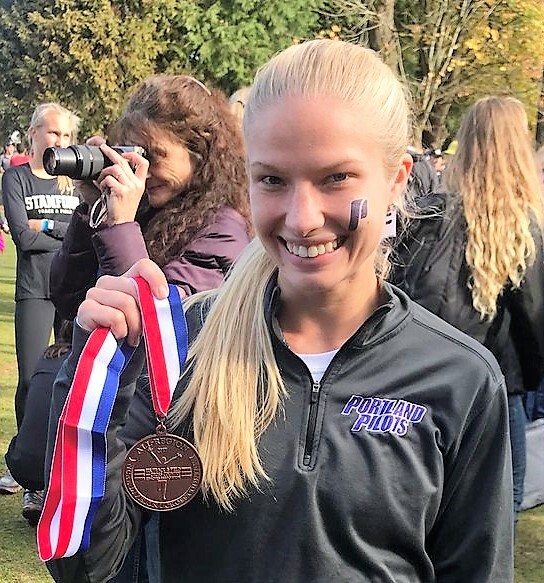 I don't know where the UP women finished, but Taryn Rawlings earned all-region honors with a 14th place finish. That site confirms UP men are the West Region champs, topping UW. Emmanuel Roudolff-Levisse (1st), Jeff Thies (2nd) and Nick Hauger (4th) were the top finishers. FYI, BYU finished 3rd in the Mountain Region, behind Colorado and New Mexico. 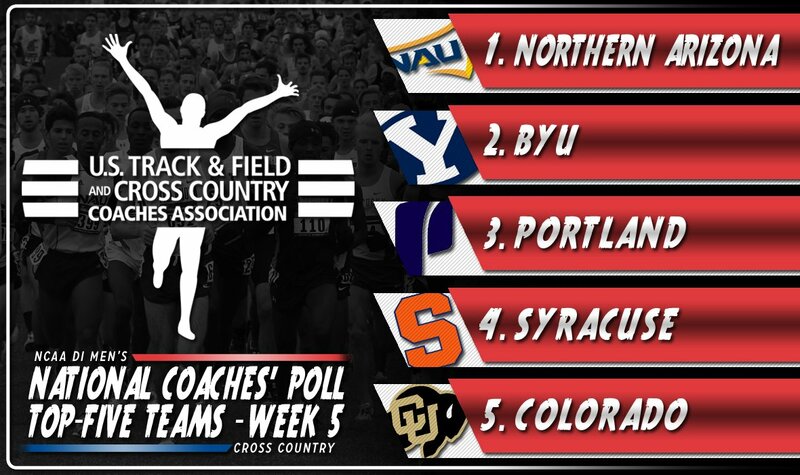 up7587 wrote: FYI, BYU finished 3rd in the Mountain Region, behind Colorado and New Mexico. That was their women. Their men's team finished 2nd to Northern Arizona. The Pilots just moved back into the Top-5 at #4 in the nation, the highest spot they've held this late in the season since 2009. The NCAA Division I Cross-Country Championships are in Louisville this coming Saturday....women at 7:30 and men at 8:30 in the morning!! You'll be able to watch live video streaming on the UP Athletics website, I think. 2nd place! Best ever program finish! Amazing...all the experts were touting this as a shoot-out between NAU and BYU. .....an excellent showing for the WCC as the USF women also finished second to the winner, New Mexico. I’m super proud of what the team did today. But, I maintain that I think RC wants it all and won’t quit until he does. There have been some sour grapes in the Track/XC community about us “tanking” the WCC meet in favor of the NCAAs. SouthCarolinaPilot wrote: I’m super proud of what the team did today. But, I maintain that I think RC wants it all and won’t quit until he does. There have been some sour grapes in the Track/XC community about us “tanking” the WCC meet in favor of the NCAAs. I haven't heard any sour grapes about "tanking" from anyone in the UP running community! I just spoke to someone who was at the meet, apparently it was quite gusty (at least 20 mph) and the meet was started early due to the forecast of thunderstorms and associated lightning and even more gusty winds. I don't recall UP ever running all it's top men in a WCC meet. Until BYU came in, we won conference anyway. If its sneaky or something, maybe BYU should be asking themselves why they don't do it. They got WCC championship. Its what they focussed on. They should be happy. Just got around to posting, I was too busy trolling letsrun. So stoked to see the Pilots dominate at nationals! Pretty amazing that the men's XC team hasn't finished lower than 13th at nationals over the past 10 (!!!) years, with the exception of 2015 when they didn't qualify after graduating all their best runners. And our average placement over that time is 8th. Think about that... this team has consistently been a top ten program nationally for a decade. That's pretty darn incredible. The threads that seems to run through this team are their love for each other and for Coach Conner, and their appreciation for Rob's giving ALL of them the opportunity to compete. I think all of us who know Rob can totally understand why he's admired by his runners. Apparently there's going to be a welcoming reception for the runners and coaches at the Chiles Center Plaza tomorrow (Sunday) at approximately 2:45 (hard to guess the probability of a connecting flight to PDX on a Sunday being on time). For those of us who cannot make it to the plaza at that time, I hope all the runners will be introduced at halftime of the MBB game vs OIT tomorrow evening.